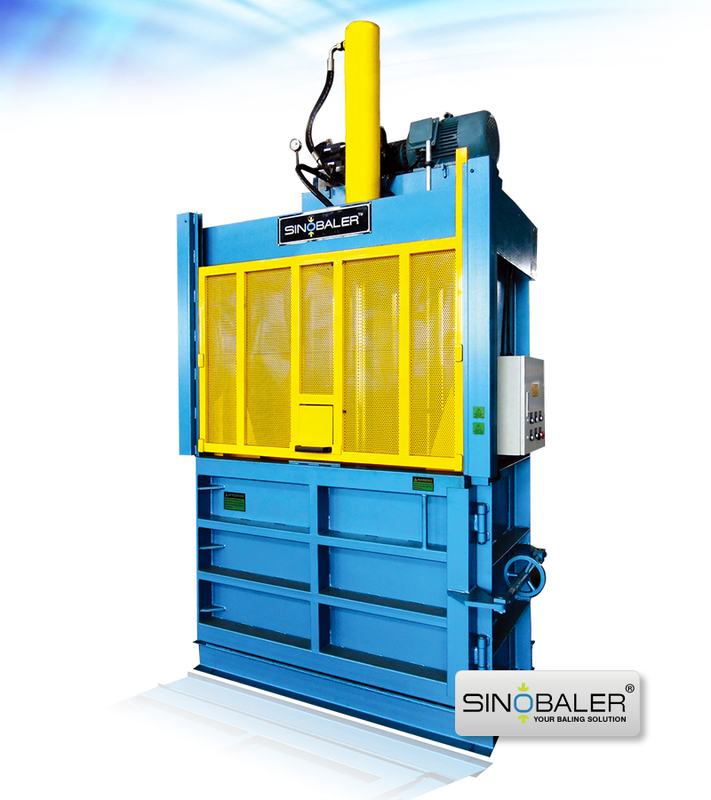 Vertical baler are a name for baling machines that are loaded from the front. Typically, these recycling machines are smaller and manually strapped. 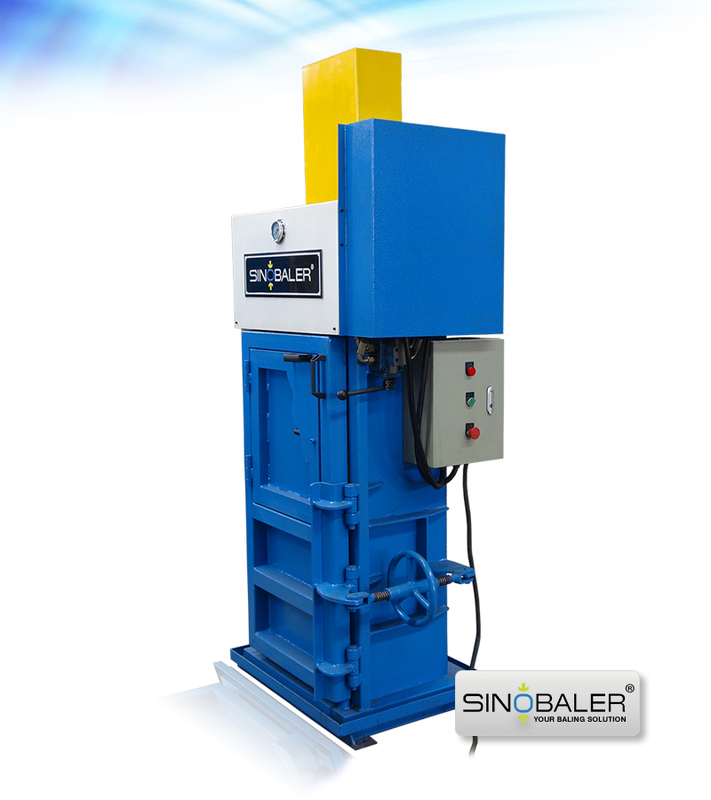 They compress from the top-down due to which such vertical baler is also called down stroke baling press machine. 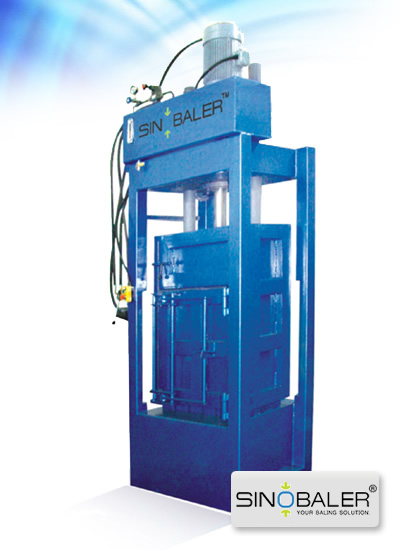 These vertical baling machines are best suited for textile manufacturers, warehouses, grocery stores, or any commercial entity that generates/recycles materials. They can handle materials like used clothing, cardboard, cartons, coconut fiber, plastic bottles and UBC (used beverage containers). 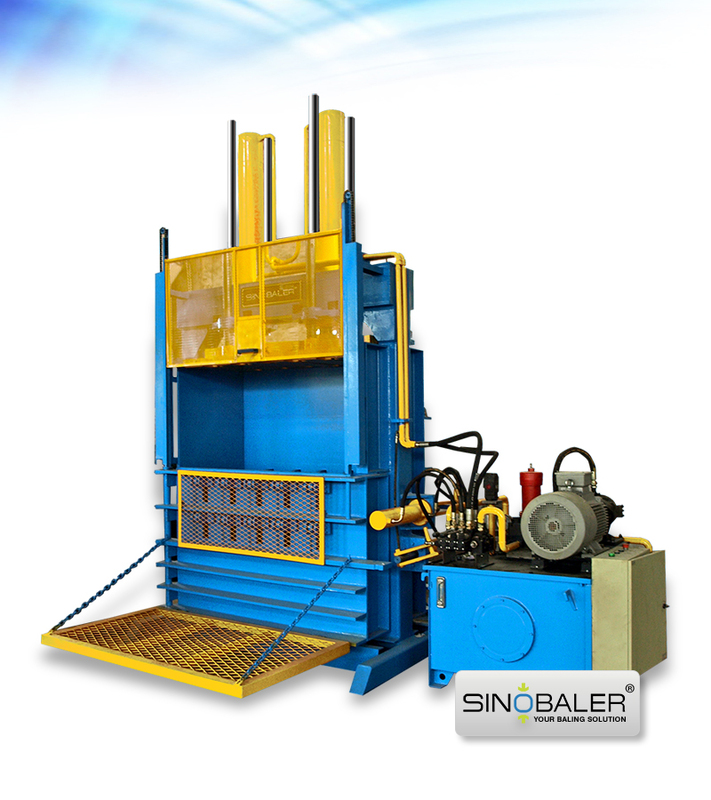 These balers also can handle shrink wrap, soft packaging, fabric scrap, tyre / tires, wood shavings, and similar. 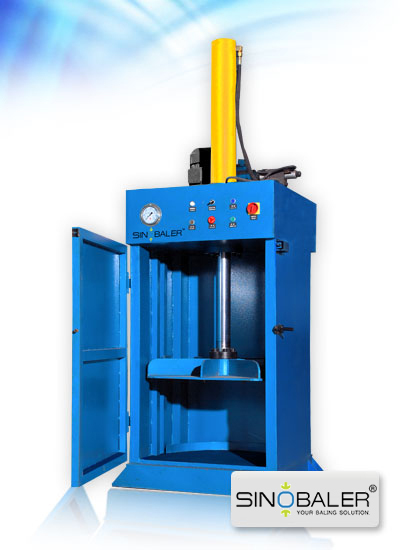 They vary widely in yield, with approximate outputs ranging from 440 lbs to 33,000 lbs per hour. So they can be used for a wide variety of waste materials and situations. 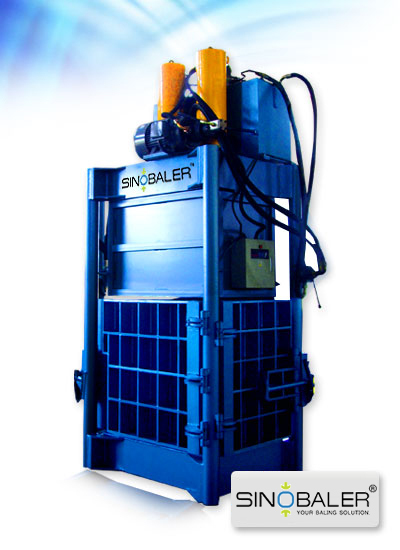 One of the main selling points of vertical balers is their size / operational footprint. Suffice to say, these machines can fit almost anywhere, and are quite movable, making them ideal for anyone who has waste to bale, but does not need a permanently installed / large-scale (and unwieldy) solution. 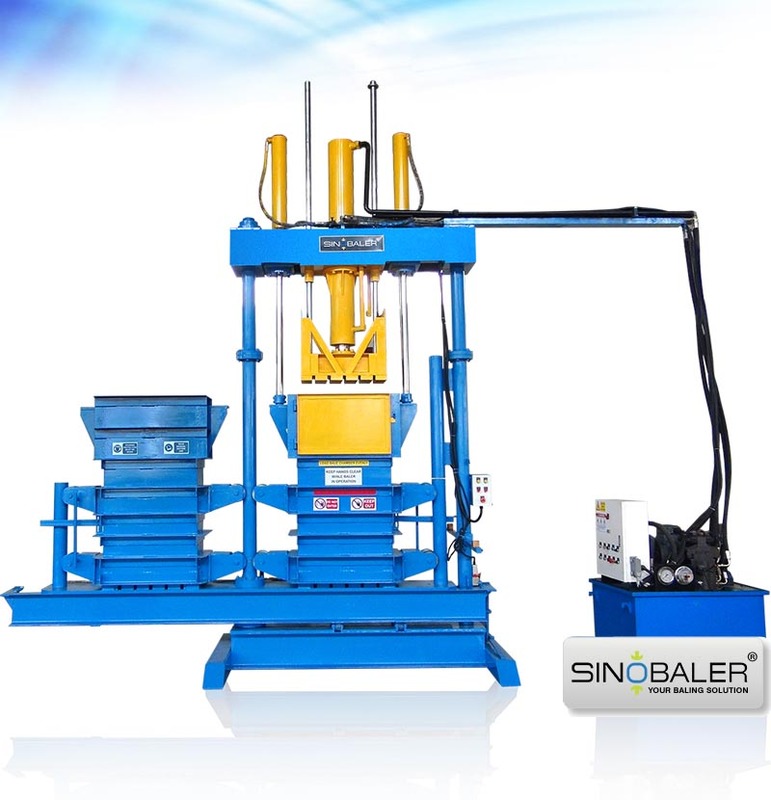 They are also very easy to operate, with most models requiring only one person to fully load, operate, and unload the machine. 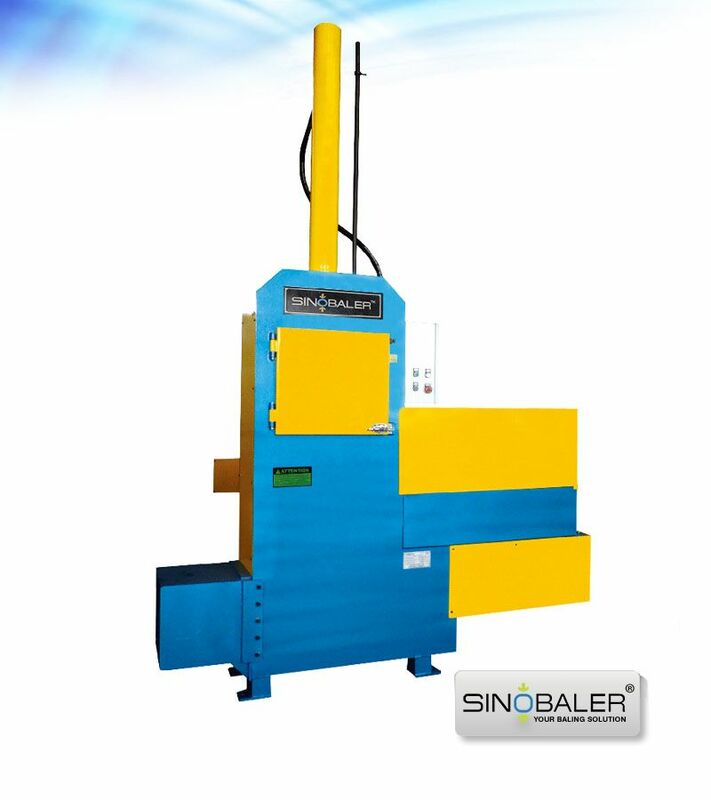 This ease of use is also attractive to many businesses, as the cost to operate the machine is greatly lowered. 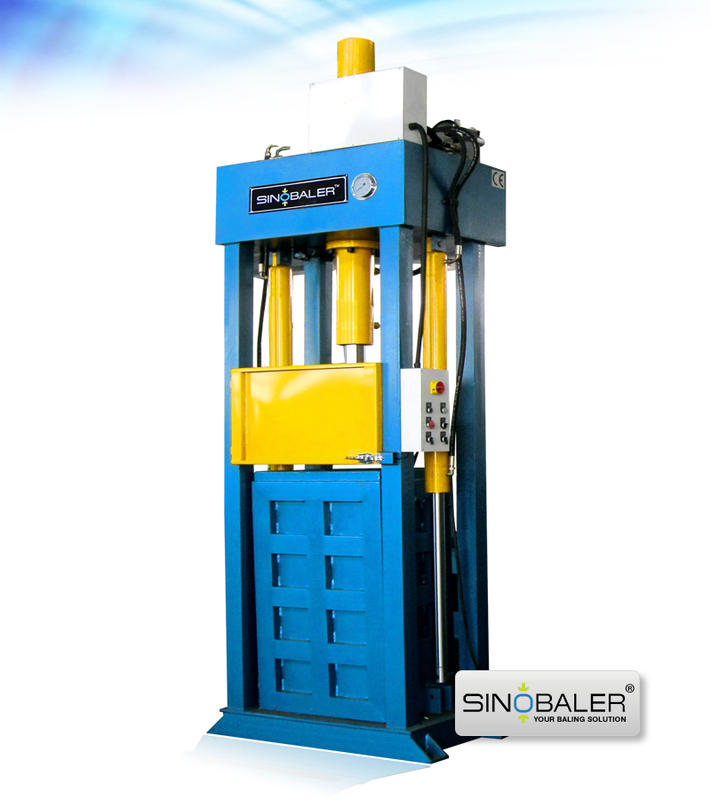 Frame part: machine body, compressing chamber, material feed door, platen, ram guide device, locking device and ejecting device. 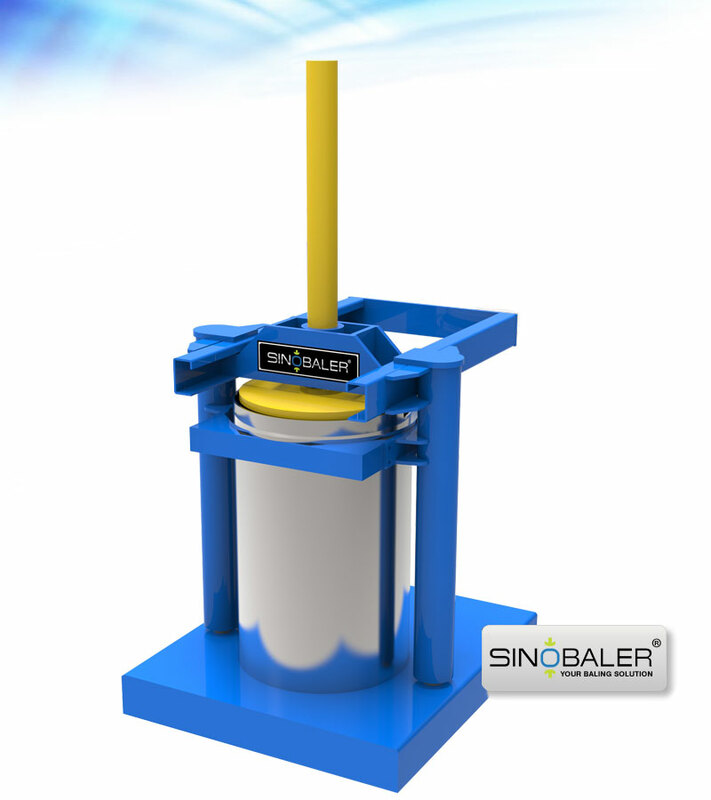 Hydraulic part: motor, pump, hydraulic valve, cylinder, pressure meter, oil pipes, filter, oil temperature level gauge, oil tank, etc. Electric part: air switch (air circuit breaker), relays, contactors, operation control buttons, etc. 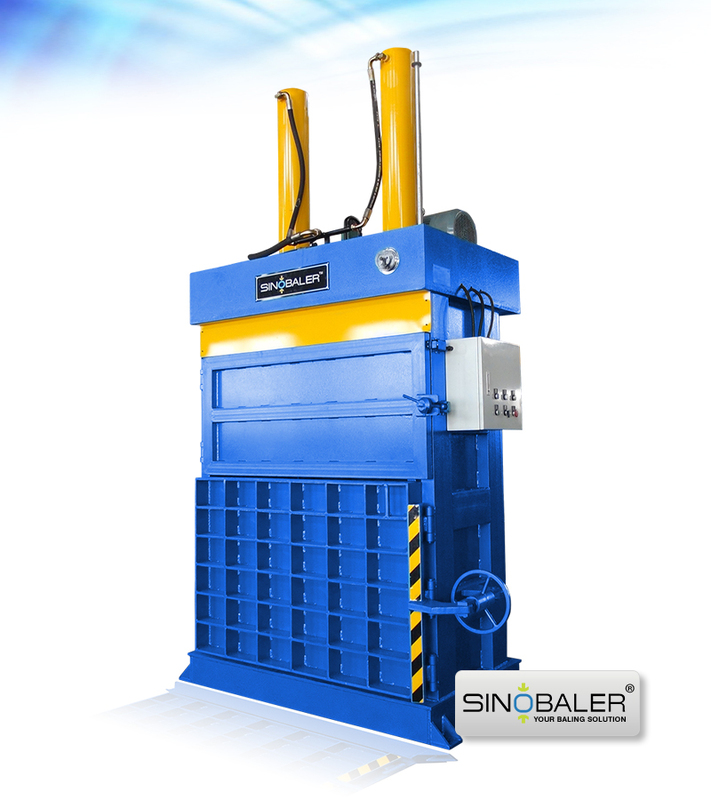 Vertical baler machine can be single ram or dual ram baling press, and have a compressing force of anywhere from 10 tons to 200 tons. The different force ratio and number of rams will depend on what you intend to bale. Obviously, more rams and force means you can bale harder / larger / stronger materials (such as tires / tyres). 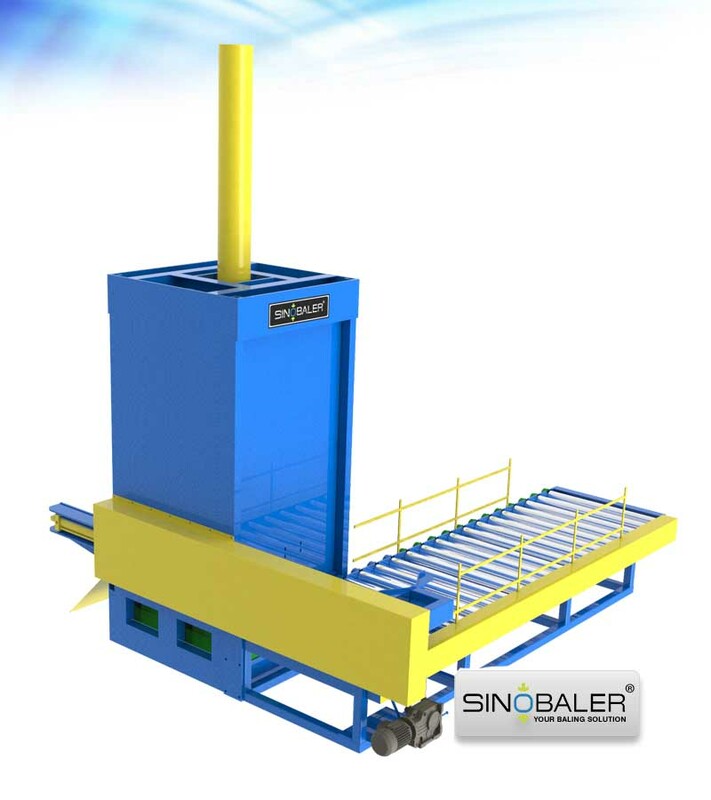 At Sinobaler, we can help you decide on which vertical waste compactor makes the most sense for your needs, both for now and in the future. 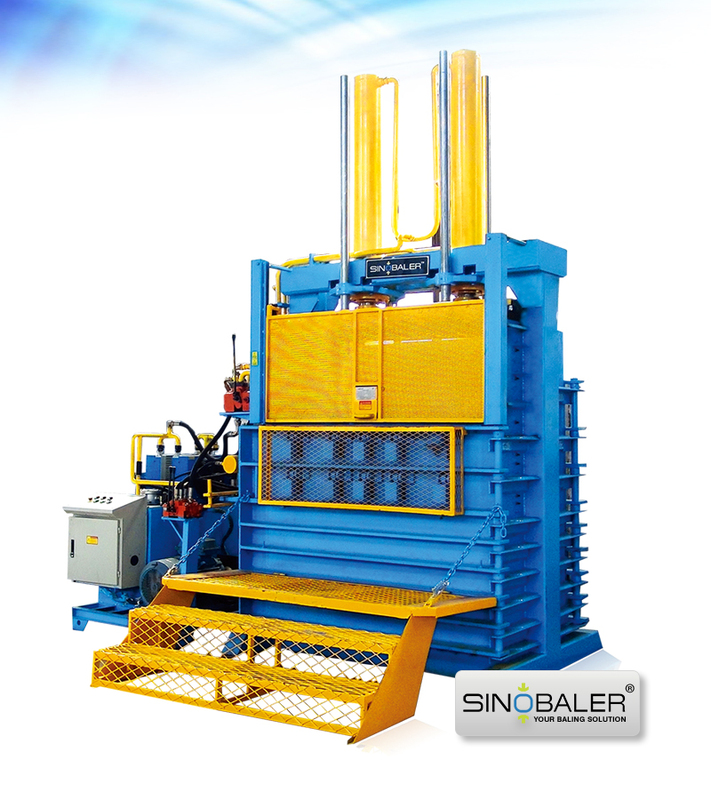 Contact us today, and one of our friendly representatives will discuss your recycling needs with you, and recommend the ideal baling machine for your situation. 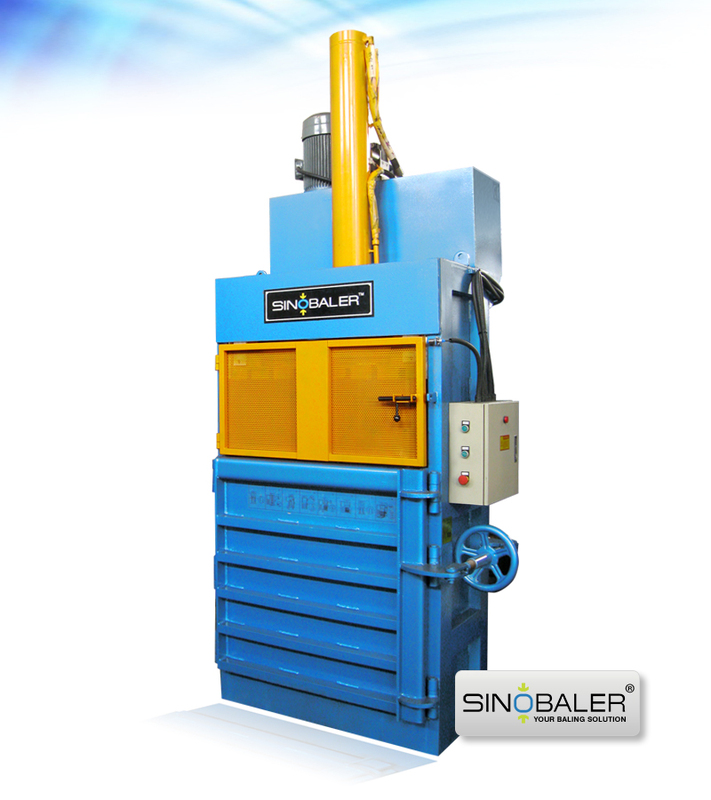 View shredders and granulators.